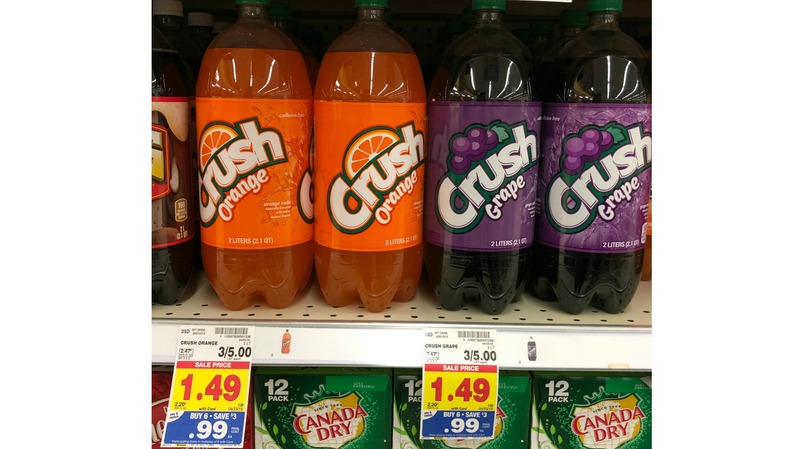 Crush (2 liter) Soda Pop as low as $0.49 with Kroger Mega Event! We are gonna CRUSH this deal with our Kroger Mega Event AND it's super easy to do. FIRST be sure to add the rebate to your linked Kroger card. 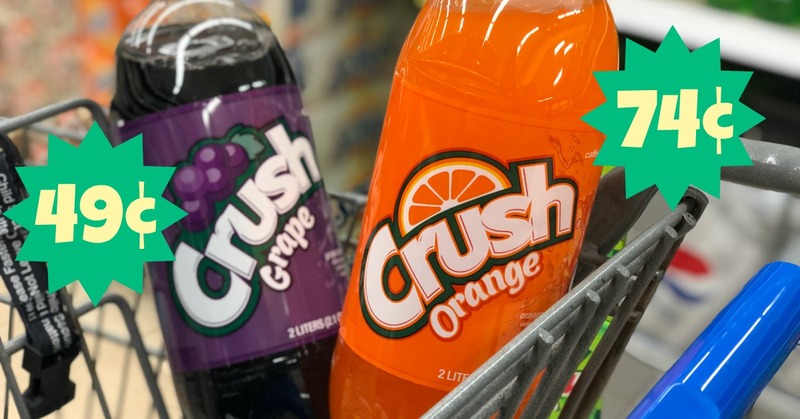 Then All you need to do is add (up to 5) bottles of both Crush Orange and Grape to your shopping cart and head to the register. You'll pay $0.49 for the grape and $0.74 for the orange. No brainer!